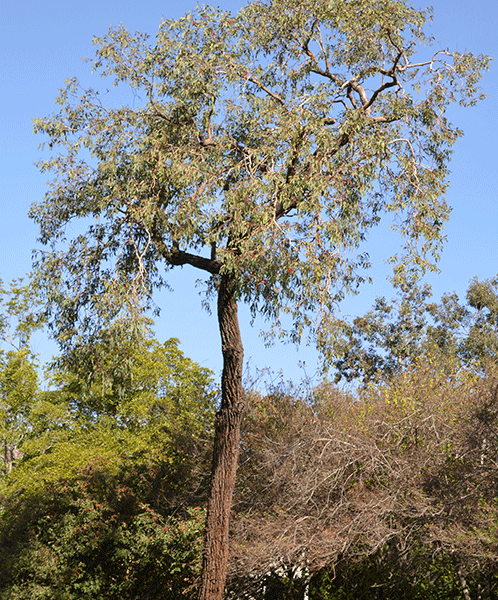 The Red Ironbark can grow to be over 20 metres tall and has a solid canopy. Originally from Queensland, it has made its way down the coast to Victoria and can be grown in many different climates and soil solutions. A full sun spot with good drainage in the soil is optimum though. 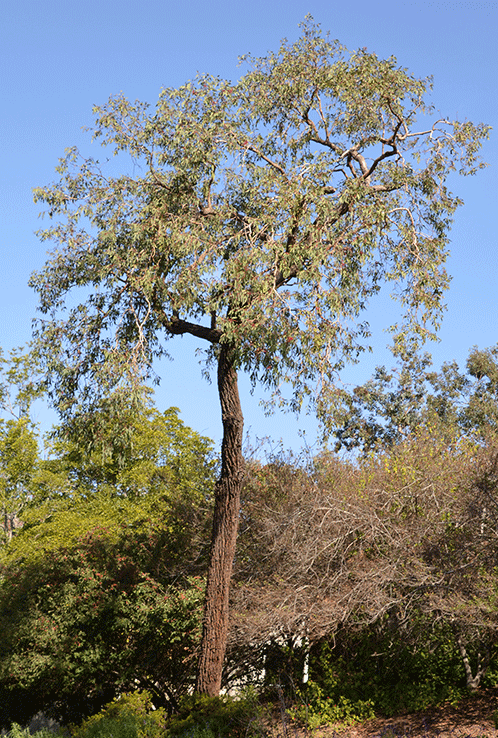 This eucalyptus boasts a dark bark colour with light coloured leaves of a blue/green/grey combination. The wood is quite dense and hard, which makes for great firewood.